"Love From Manenberg" is a story about love and loyalty and the choices we make. The series is composed of quiet moments amidst chaos. A suburb of Cape Town, South Africa, Manenberg was established in the Cape Flats, a vast low-lying sand dune, during the late 1960s by the apartheid government as an area for Coloured families. 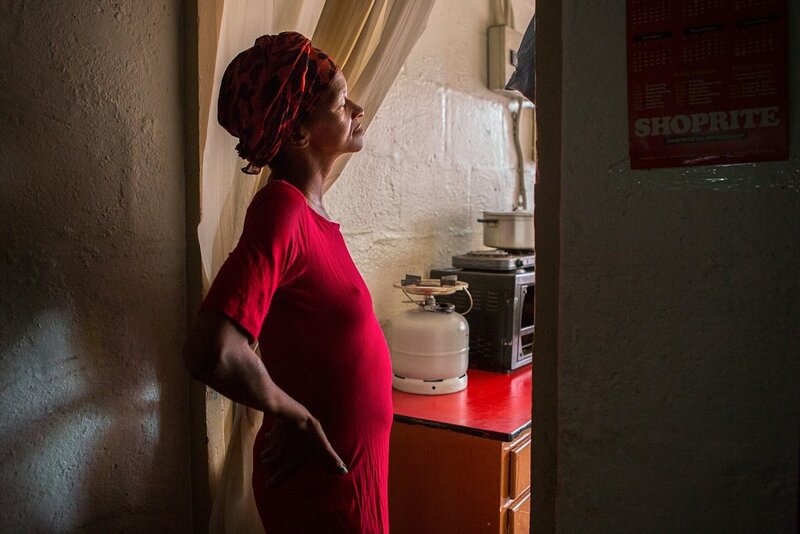 Marginalized by culture, history and geography, most of Manenberg’s estimated 70,000 residents live in overcrowded and problematic conditions. More than twenty years since the end of apartheid, Manenberg has not seen the fruits of democracy. The community is largely recognized in South African media for its social problems, which include unemployment, substance abuse, HIV/AIDS, crime, and above all, relentless gang violence. Long known as one of South Africa's most violent places, faith and fortitude help the people of Manenberg look to the future. I first photographed Manenberg in June 2011. Over the years, many individuals have opened their lives and shared their community with me with extraordinary candor, but I am particularly grateful to the Lottering, Pietersen, and Adams families. The title of this series, “Love From Manenberg,” is in part a reference to the love each of these families embodies. The title also aptly describes the relationships I have formed with those pictured here, and others, while working in Manenberg.